I’ve never met anyone who read the GAPS book that felt like it was a waste of time. Even if you aren’t struggling with a chronic health condition, trying to heal autism, or dealing with mental illness, the knowledge available in the GAPS book is indispensable. The book isn’t just for people who want to do the diet (not everyone needs to do the diet), it’s a fantastic ‘ah ha!’ overview for people who want to understand health, and written by a neurologist, so it appeals to those who are natural minded and those who prefer mainstream medicine. Here are 5 people who will benefit from reading the GAPS book, do you see yourself here? 1. People who work with children with health or behavioral conditions. 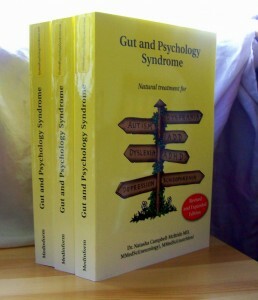 The GAPS book explains how the gut-brain connection manifests in irrational behavior, physical conditions such as allergies and eczema, and sensory integration disorder. When we understand that there are toxins affecting these children’s brains like drugs, it is much easier to have patience and understanding and hope for them. In addition, more and more parents are turning to alternative diets and therapies for their kids (see #4) and when the professionals working with these children understand the facts and reasoning behind the diet, it’s much easier to be a support for the family. 2. Medical professionals who primarily use western medicine, but would like to gain an understanding of what their holistic minded patients are thinking and be able to talk in a way that they will listen. Not everyone that is interested in natural medicine has done the research needed to fully understand it, but many of us have and it’s difficult to take mainstream medicine practitioners seriously when the knee-jerk response is to tell anyone interested in natural health, ‘you can’t believe everything you read on Google’. The GAPS book gives a good overview of the holistic approach to treating disease, and it’s written by a neurologist, so it isn’t completely anti-western medicine. 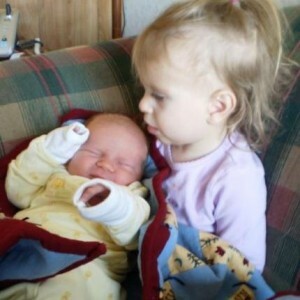 numbers 1 in 88 or even 1 in 50 are coming up, the worry that parents have over their baby’s developmental is warranted. There is some controversy about whether children are just being over diagnosed with developmental conditions- but a visit to any elementary school or special ed classroom will show that these conditions are real- when I was in school we had maybe 1-2 kids with ADD type symptoms in my grade, and now there are dozens. I’ve talked to teachers who have been in the same district for decades, and they notice the same thing. Understanding the role gut health plays in the body’s overall health allows you to make simple holistic changes to help with fairly common childhood issues like digestive trouble, eczema, and ear infections without resorting to harsh pharmaceuticals. 4. Anyone who feels like mainstream medicine has nothing to offer for their health condition– be it acne, allergies, depression, autoimmune disorders, epilepsy, digestion, autism, or eczema. This is what drove us towards the GAPS diet 4 years ago- my daughter was not learning or developing like she should have at 2-1/2 and 6 months of mainstream treatments with OT, speech, and physical therapy did nothing other than irritate her more. 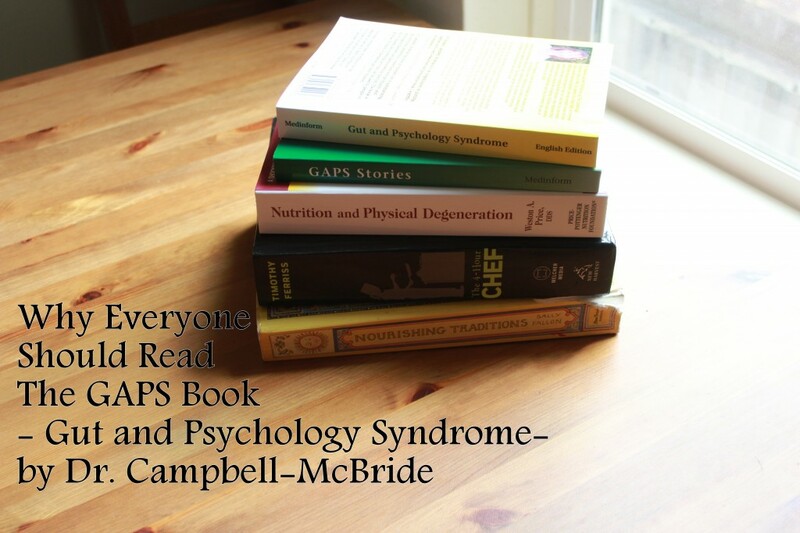 There had to be something out there to help her, and GAPS was it, the GAPS book explained what the root of many of her problems were and gave us the tools needed to help right where it all started, in the gut. Once she was stabilized on GAPS we were able to start OT, speech, and physical therapy again and they helped a bunch, but on their own they weren’t doing any good. 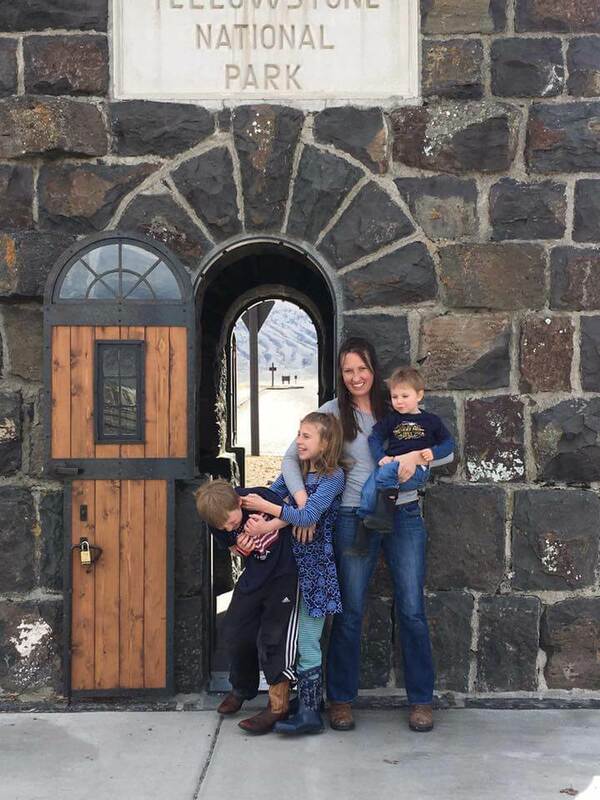 Our developmental pediatrician was only equipped to hand out prescriptions for certain issues (anxiety, sleep) and referrals to diagnostic testing- those have a time and a place, but for my toddler they weren’t the best solution. 5. Holistic healthcare professionals. I wish more holistic healthcare professionals had actually read the GAPS book. It’s popular enough that most have heard of it now, but it’s disappointing to GAPS patients when they have to go in and explain what is and isn’t allowed on the GAPS diet. We tried visiting a DAN! (defeat autism now!) practitioner a couple years ago, and she had heard of SCD but not GAPS and didn’t really understand the basics of what foods were allowed and why. While naturopaths might understand the concepts covered in the GAPS book, it would be very helpful to those following the GAPS diet if they at least skimmed through the book and knew the protocol. Totally agree! While we do not have a child w/ autism, our daughter does have SPD. She craves sweets like crazy, even though we’re on a grain-free, refined-sugar-free diet. We did GAPS for 2 months, but it was too intense for us at the time. I’d love to try it again now that I’ve got a couple of years of Traditional cooking and six months of grain-free eating under my belt. Even though we don’t follow the GAPS protocol now, I reference it a lot in my meal planning, when talking to friends about their or their kids’ various food allergies/sensitivities. I understand so much more about gut health and the effects of it on the body since reading that book. Hi There, I wanted to comment on a past blog post, the one about why maybe GAPS didn’t work. I had eczema all over my arms, neck, eyes and stomach. It has been with me for several years. It affected my life greatly. I tried GAPS for almost two years. I could not do everything although, I tried. It is intense and challenging to do. But I did what I could and have been eczema free for several months now. I owe this to GAPS. I know my gut is not healed because if I eat certain foods, I notice it coming back to the corner of my eye. All I have to do is adjust my eating and it goes away. I would love to be able to eat the things I like, but I am willing to give it up to avoid having eczema again. I do not want to go on my altered versus of GAPS again, just too challenging, and expensive, but I do give it all the credit for my not having eczema for which I am grateful and I pass the word to anyone who seems truly interested. Your blogs were very helpful during the time I was on GAPS, and I thank you sincerely. I love Nourishing Traditions…. Has a lot of fantastic info and great recipes too. Do you know when the gut and digestive version is coming out?